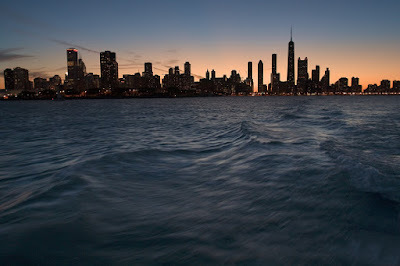 From April 16th through the 18th, 2010; the entire kitchen and bath industry will descend on Chicago for our annual trade show and conference. Technically, it's the Kitchen and Bath Industry Show but everyone calls it KBIS. KBIS is the world's largest kitchen and bath show and it draws exhibitors and attendees from all over. As a trade-only event, it's a perfect venue for manufacturers and suppliers to debut their new wares. And debut them they do which is why designers flock to the show every spring. 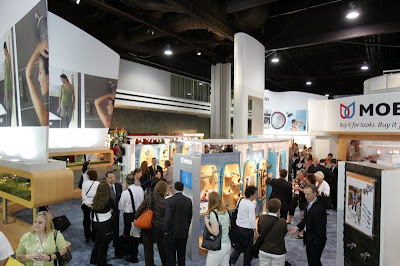 Somewhere around 700 companies, manufacturers and suppliers show on the floor of KBIS every year and thousands of designers, specifiers, architects, builders and retailers attend. It's also a lot of fun. KBIS this year is coming with a twist. I'll be there of course but it's a little different for me than it's been in previous years. For starters, I'll be there with press credentials for the first time. So I'll be blogging, Twittering and photographing with giddy abandon. I'll be filing dispatches from the show floor and those dispatches will appear in as many locations as I can get them. I'm also presenting this year and I need to declare that my airfare, accommodations and a stipend are being covered by Igloo Studios, Inc. Igloo Studios is a software development and training company and I know them through my involvement with Google's SketchUp. Some of the Igloo gang and I will be presenting short SketchUp demonstrations at Kraftmaid's booth. So if you're going to be at KBIS, please stop and see my SketchUp soft shoe. If you're an industry type who's on the fence about attending, get off the fence already. Come to Chicago! Register here. W00T! Can't wait to read all the insider details! Don't worry about that Jane, I have it covered and then some. Between my press pass and exhibitor credentials, I won't miss a thing! So excited to read about all of the new products! It ought to be a great show, come to Chicago! You're not going?! Isn't Chicago just down the road from you? Who are you anonymous? Track me down at the show. How much did you say that was going to cost? What about a white kitchen? Is it possible to fall in love with a faucet? Where's Liz Taylor when you need her? How to put your clothes away. This is no joke. Fame! I'm gonna live forever! Papasan can you hear me? Oh Leonardo, did you influence this table? Have you seen Unhappy Hipsters?